The quickest and most cost-effective method to construct roadsides and widen existing roads. Straßmayr BF 290 Road widener is designed to quickly construct roadsides with both loose material and asphalt mass. 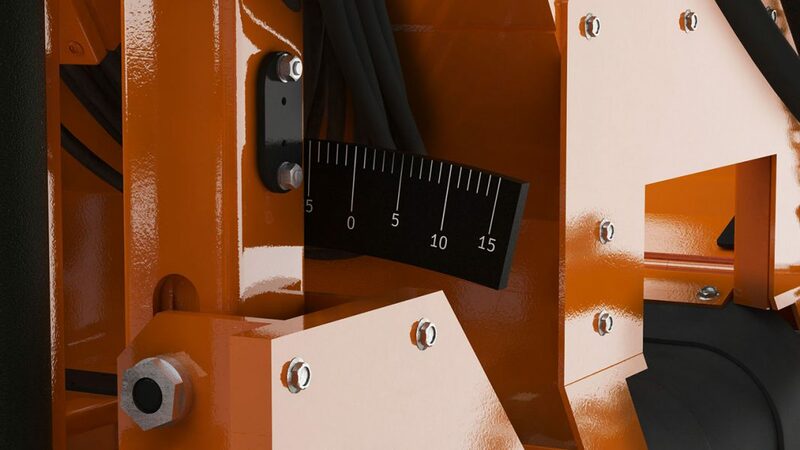 Due to the fact that the device is designed to be installed on a loader, backhoe loader or tractor by means of a quick coupler. One operator is provided for operation. 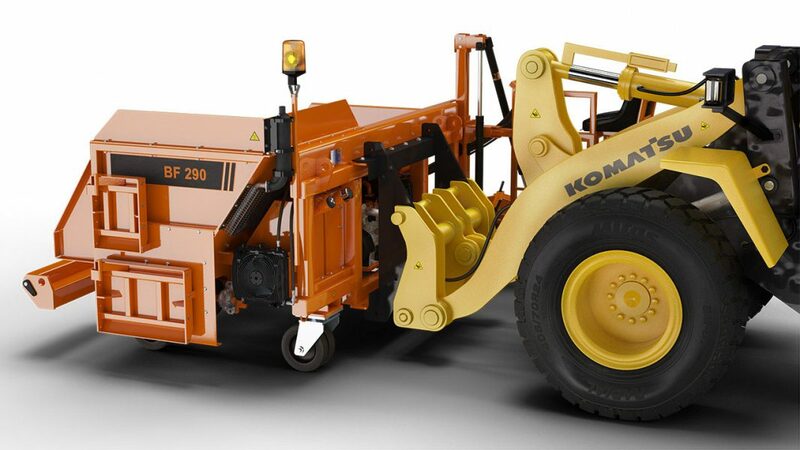 The paver has its own, independent drive for all functions; it is equipped with its own KUBOTA engine and a hydraulic pump. 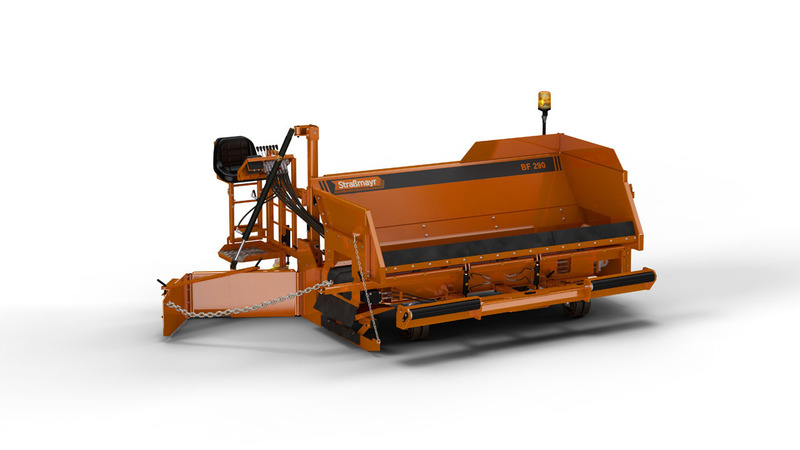 The option with additional accessories and with increased capacity, the paver allows to lay up to a width of 3000 mm, the standard is up to 2000 mm. 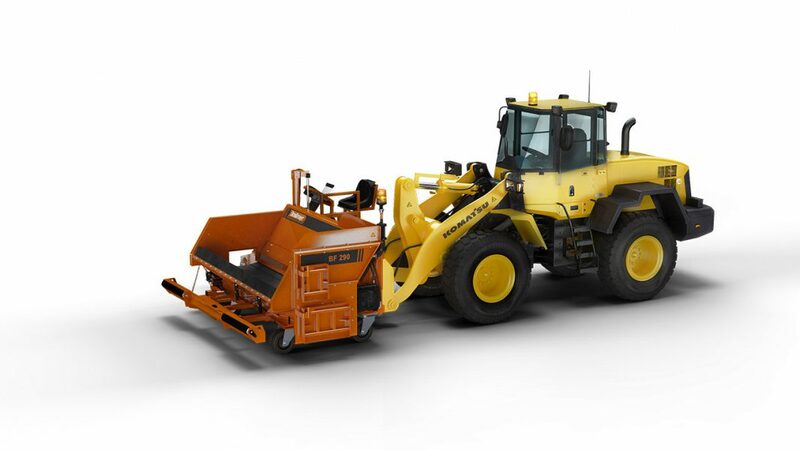 The paver design allows for quick and trouble-free replacement of a feeding belt. The quickest method to lay aggregate and mass on a roadside. All stages of a repair are carried out with one device and operator. The machine is quickly ready to work. Lifted front plate allows to adjust a tipper box, preventing material from being discharged during overloading. Possibility of laying up to 3000 mm.